HANOI – South Korea and Vietnam have concluded negotiations for a bilateral free trade agreement (FTA) at a signing ceremony in Busan witnessed by Vietnamese Prime Minister Nguyen Tan Dung and South Korean President Park Geun-hye. The FTA will remove import tariffs on more than 90 percent of all products. The FTA is expected to almost triple bilateral trade between the two countries to US$70 billion by 2020. In the first 10 months of 2014, South Korea exported US$17.7 billion in goods to Vietnam and imported US$5.9 billion in goods from the Southeast Asian country. The FTA negotiations began in August 2012 but saw delays over issues such as fishery products. While some technical issues still remain, the agreement is expected to be signed into law in early 2015. 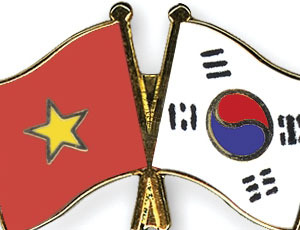 South Korea is currently Vietnam’s largest foreign investor, with US$37 billion in investments in 2013. 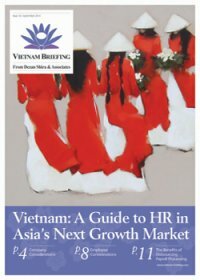 The country is also Vietnam’s third largest trading partner, second largest source of tourists, and second largest provider of Official Development Aid (ODA). South Korean exports to Vietnam have grown rapidly from US$7.16 billion in 2009 to US$21.8 billion in 2013. The newly finished bilateral agreement will regulate the trade of goods and services, customs procedures, intellectual property standards, food hygiene and safety, and rules of origin. It also commits to removing barriers to e-commerce and legal institutions. A wide range of South Korean products will receive preferential treatment in Vietnam under the agreement. Key business areas affected by the agreement include the automotive, electronics, and textiles sectors – goods receiving preferential treatment will include plastic materials, steel products, electrical cable, home appliances, and vehicles of 2,500cc and over. In return, South Korea will cut tariffs on imports of farm produce, seafood, garments and textiles, and mechanical products from Vietnam. Additionally, South Korea will further open its markets to Vietnamese investment and services. Among the Vietnamese products now permitted to be exported to South Korea include garlic, ginger, honey, and shrimp. However, rice, which South Korea classifies as a sensitive product, was not included in the agreement. Even before the completion of the FTA, South Korean companies, such as Samsung and LG Electronics, were already making sizable investments into Vietnam. In October, Samsung began construction on a new US$1.4 billion electronics factory in Ho Chi Minh City (HCMC), thus increasing the company’s total investment into Vietnam up to US$10 billion. Due to its ongoing expansion activities, Samsung is now Vietnam’s largest exporter and has helped the country achieve a trade surplus for the first time in many years. To give an example of the size of the company’s investment into the country, in 2013, Samsung SEV Bac Ninh earned over US$20 billion in export turnover, this accounted for 18 percent of Vietnam’s total export turnover. Exports of smartphones and computer parts now account for more in export earnings than oil and garments. In addition to the conclusion of the FTA, Prime Minister Dung and President Park agreed to deepen their two countries’ cooperation on security and defense issues. As part of this agreement, both countries issued a statement on the South China Sea issue which called on ASEAN and China to abide by the Declaration on the Conduct of Parties in the South China Sea and to create a code of conduct to govern actions in the region. Additional FTAs that Vietnam is currently negotiating include the Trans-Pacific Partnership (TPP), the Regional Comprehensive Economic Partnership (RCEP), the ASEAN Economic Community (AEC), and the EU-Vietnam FTA.